We are getting ready for the June 11th Strawberry Stroll. If you would like to have a booth at this fun event, please fill out the participation form by May 10th and e-mail to our Event Chairperson Nicole Fortier at nfortier@deanbank.com. 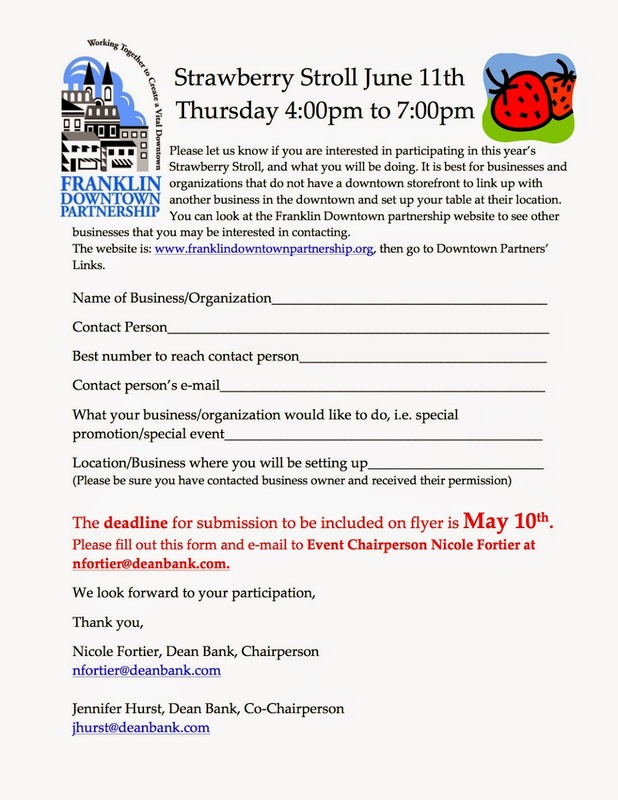 Click here to download the 2015 Strawberry Stroll Booth Form. If you would like to be a Sponsor, please use the following links for more information about sponsorship levels and to download a sponsorship registration form. Questions? Feel free to contact the FDP office at downtown.franklin@yahoo.com or call (774) 571-3109.